Citation: Wiwanitkit V. ZIKV Infection i n Solid Organ Rrecipients. J Clin Med Ther. 2016, 1:1. Copyright: © 2016 Wiwanitkit V. This is an open-access article distributed under the terms of the Creative Commons Attribution License, which permits unrestricted use, distribution, and reproduction in any medium, provided the original author and source are credited. It is no doubt that the Zika virus (ZIKV) infection is a big global problem in the present day. The infection is due to mosquito vector transmission. Nevertheless, there are many newly reported modes of transmission including to sexual contact and blood transfusion. The great concern is on the transplantation which is the hope for the management of many diseases (such as organ failure and cancer). There are many viruses that can be transmitted via solid organ transplantation. The recent report on ZIKV infection and organ transplantation is very interesting . Nogueira et al. 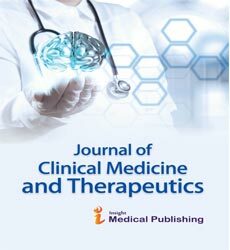 reported the first series of “ZIKV infection in renal and liver recipients presented without rash, conjunctivitis, or neurological symptoms, and with abnormal graft function, thrombocytopenia, and bacterial super infection” . In fact, the possibility that ZIKV might be transmitted via solid organ transplantation is an interesting issue in transplantation medicine. Referring to a similar arboviral infection, dengue , the possibility of ZIKV transmission by organ transplantation can be expected. Nevertheless, the occurrence of ZIKV infection in organ recipients might be due to other causes. The possible causes of infection might be a) contaminated blood and blood products that is used during transplantation procedure and b) mosquito bite during hospitalization. The chance of ZIKV infection by blood transfusion is confirmed and there is still no routine process for blood bank screening . Focusing on mosquito bite, the existence of mosquito vector in hospital in confirmed . Although the ZIKV might or might not be transmittable via solid organ transplantation, the concern on the possibility is needed and the prevention on the known modes of transmissions for the patients undergoing the solid organ transplantation is very important. Nogueira ML, Estofolete CF, Terzian AC, Mascarin do Vale EP, de Cássia R, et.al. (2016) Zika Virus Infection and Solid Organ Transplantation: A New Challenge. Am J Transplant. 15. Wiwanitkit V (2009) Unusual mode of transmission of dengue. J Infect Dev Ctries 4:51-54. Jimenez A, Shaz BH, Bloch EM (2016 ) Zika Virus and the Blood Supply: What Do We Know? Transfus Med Rev30094-30103. Wiwanitkit V (2016) Aedes Mosquito Larva in the Hospital: A Note From Thailand.. Infect Control Hosp Epidemiol 13:1.